Starting early this month, Econet began a trial rollout of LTE services to smartphones, we are told. You will remember that before this, that is since as far back as the launch in September 2013, you could only access LTE via a USB dongle. Why wait a hole 2 years before enabling access to mobile smartphones, you ask. Well, making LTE available is not a simple process. To generalise – sorry to the tech police amoung you that will accuse us of over-generalising – LTE is an internet only technology, while voice calls use a different technology meant for voice calls. Now, to enable you to make both voice calls and stream video using LTE from the same phone, the operator has to make some changes to its network. Or, your smartphone has to be able to support both technologies simultaneously. 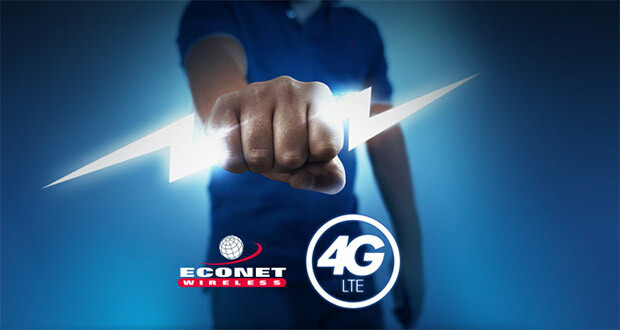 In either case, it’s a hardly seamless transition, which is why at launch Econet decided to just run an separate & independent LTE network allowing you to connect only via the dongle they sold. The launch of LTE in 2013 was clearly motivated by nothing beyond the “Another first from Econet” claim, which is itself understandable. The penetration of smartphones that are LTE-able is not exactly attractive. They are expensive and you only have to look at Econet’s own lineup to appreciate this. We have no information on which devices are supported by Econet’s LTE and their LTE microsite doesn’t look like it was updated since launch 2 years ago, so if you want in, you probably have to call them and ask your way. Econet are not going to spend money expanding the LTE coverage quickly, because they’ll spend it on the expansion of 3G capacity and coverage instead. If not 3G, one would even argue that Econet’s money is better off invested in WiFi hotspots than LTE, but that’s another discussion! Suffice to say, there are more devices right now that support WiFi than will support LTE in the medium term. I also suspect that WiFi is cheaper, even in terms of area you can cover per dollar, than LTE. But the truth on that will depend on technical information like the frequency of Econet’s LTE license, which informs the radius per base station they can do. Still, if Econet went for WiFi, they should look at it as a service and not just an offload opportunity that they so far want to insist on. This would inform their pricing, (offer me a discount for using WiFi) which has to be competitive. No way am I paying US $0.15 per MB for WiFi when there’s cheaper alternative on the same spot. That said, for those of you that do start using the service, I envy you for the ultra fast mobile broadband speed you will enjoy, but remember ultra fast is not for the price sensitive. Forget this and your troubles will change from “this 3G is too slow” to “Where did all my data go?”. Now considering Econet lines have in past been known to make airtime vanish, the new faster internet may worsen your already rocky relationship with your operator. Hahahaha Stanley fan boy know its you! Typos typos… Why wait a **hole** 2 years before enabling access to mobile smartphones, you ask. Typos are a result of your using the standard US English dictionary and not updating or personalising your dictionary! I donot experience that many typos because I use the UK English dictionary. I know people will say ndakacolonaiziwa nemaBritish but I prefer that English! Keep up ze good work Limbikani it’s refreshing! From an informed position: the last part of your head line is not entirely true!!! Clearly, age doesn’t always come with wisdom. For Zimbabwe, age came alone in the form of Independence and nothing more from there. I get that our country is still considered 3rd World but are we only getting actual Mobile LTE in 2015? The multitude of issues that have plagued our country from cell services alone is simply appauling, therefore, too little too late for the monopoly. Speaking on 3G alone, Econet has focused on quantity and not quality and when/if LTE finally gets rolling, the response expected definitely won’t be the one received.